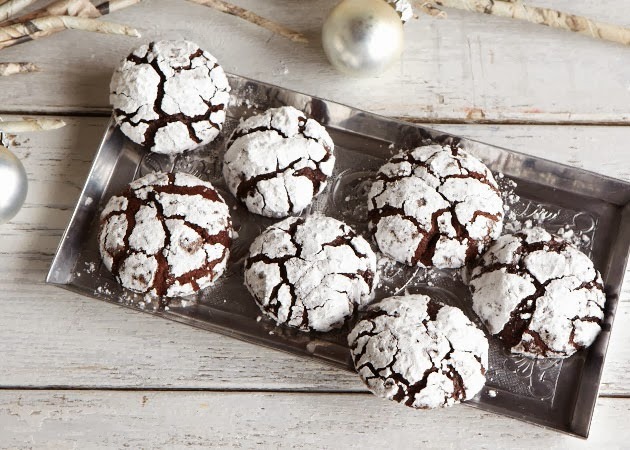 Every year at Thanksgiving, my mind excitedly turns to holiday baking and these Chocolate Crinkle Cookies from Sweet Potato Chronicles are at the top of the list. I made them last year for the first time and brought them to our Christmas Eve dinner and they were the hit of the party. Perfect for gifts, but just be careful ... they are so addictive that it's a challenge not to eat a dozen yourself when baking them! I also love that these are egg and dairy-free. Soft and chewy and they just look like Christmas! Click here for the recipe and great step-by-step instructions. If you have the Paprika recipe app and would like this recipe in a downloadable format, please email me and I'll send it to you. Have a Sweet Day & Happy Baking!